Can you confirm these amateur observations of Trachylepis boulengeri? 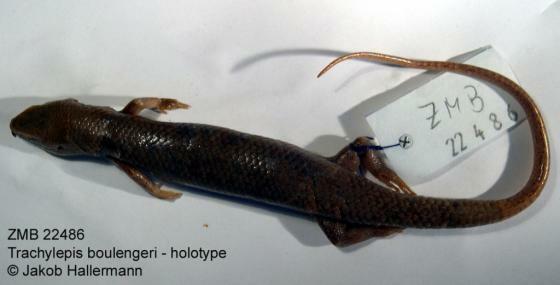 Comment Specimens collected by Barbault at Kisenyi in Rwanda (MNHN 40-109, Paris) were assigned to M. boulengeri by Angel (1928). Broadley (in Schmidt’s 1919-1923 SSAR reprint) states that they have been re-assigned to M. maculilabris. Etymology Named after George Albert Boulenger (1858 - 1937), herpetologist at the British Museum of Natural History, London. Stevens, R.A. 1974. 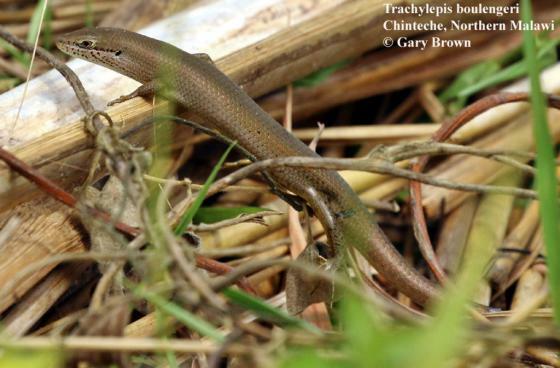 An annotated check list of the amphibians and reptiles known to occur in south-eastern Malawi. Arnoldia (Rhodesia) 6 (30) 22 pp.